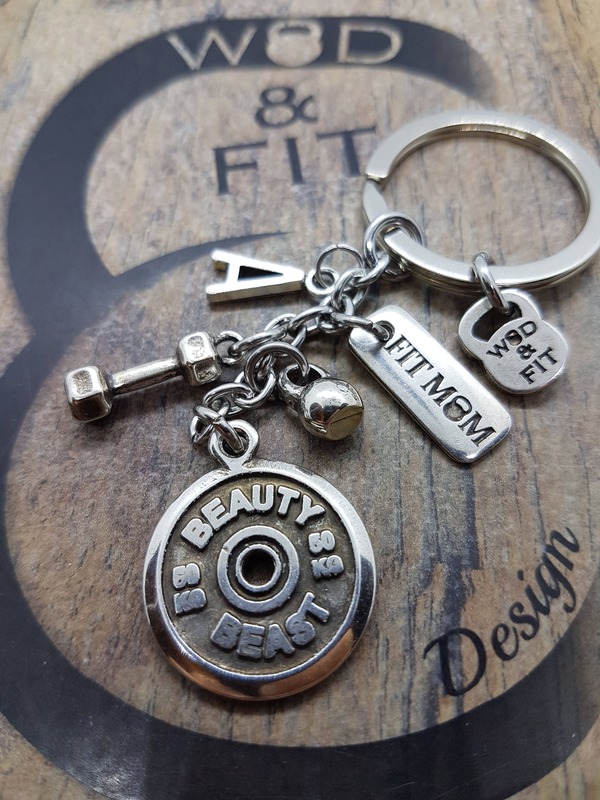 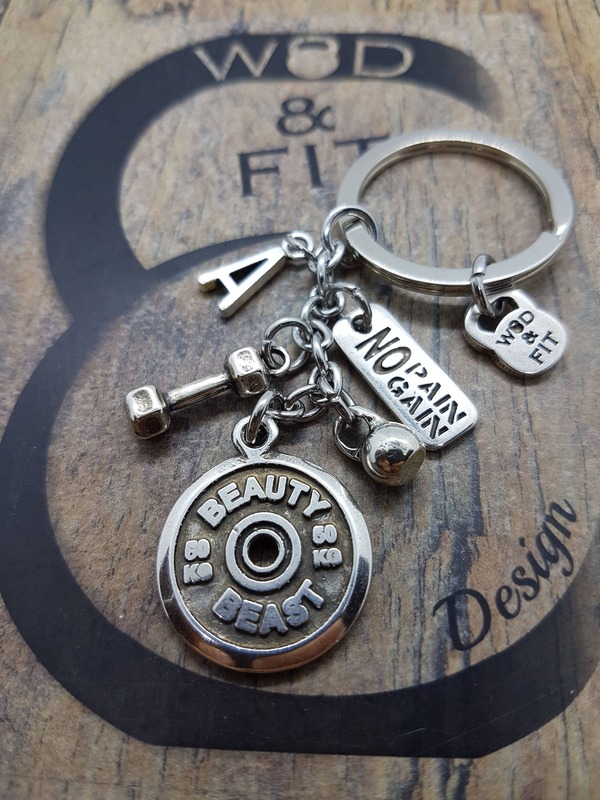 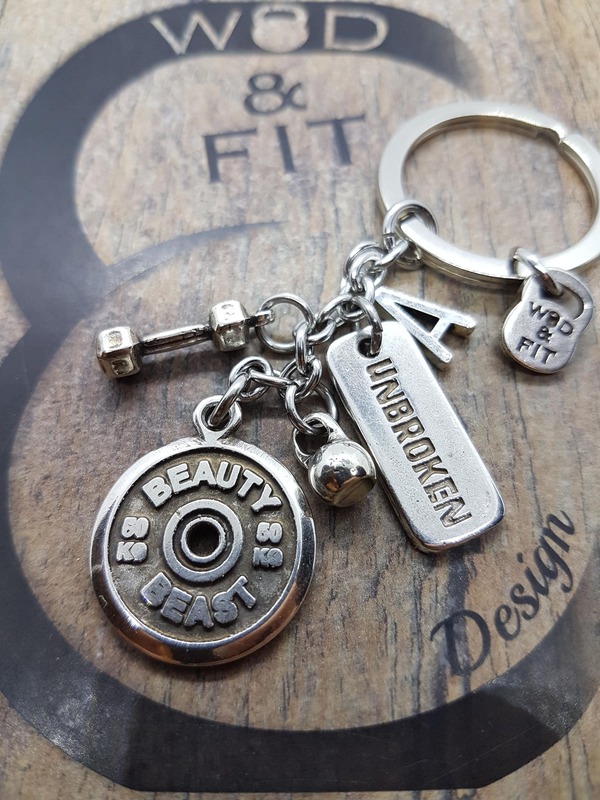 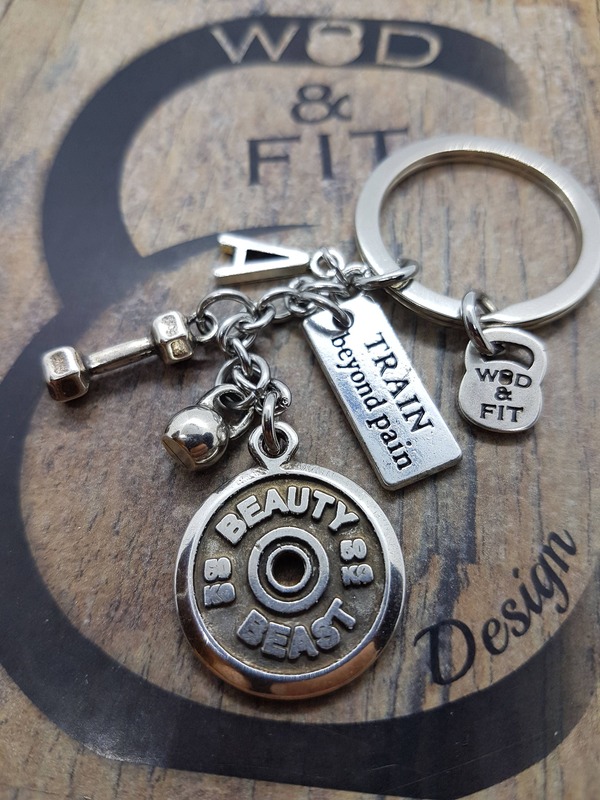 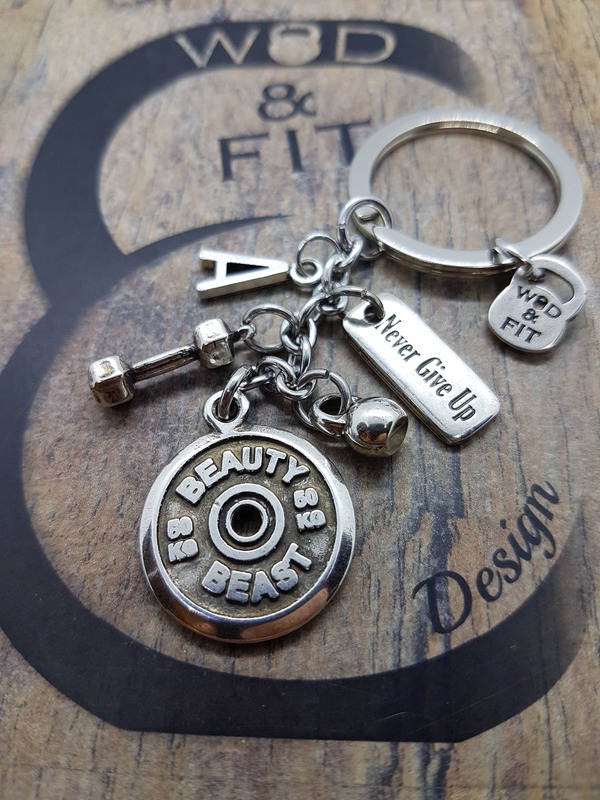 Keychain With Weight Plate 50kg Beauty Beast,Dumbbell, Kettlebell,Motivational Word and your initial letter. 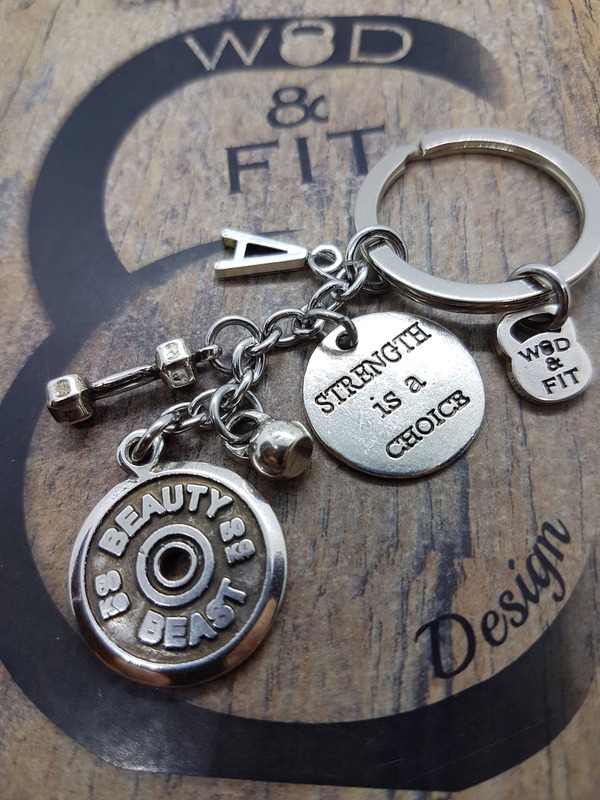 I purchased this for my roommate since she just purchased a new car and is into cross fit. 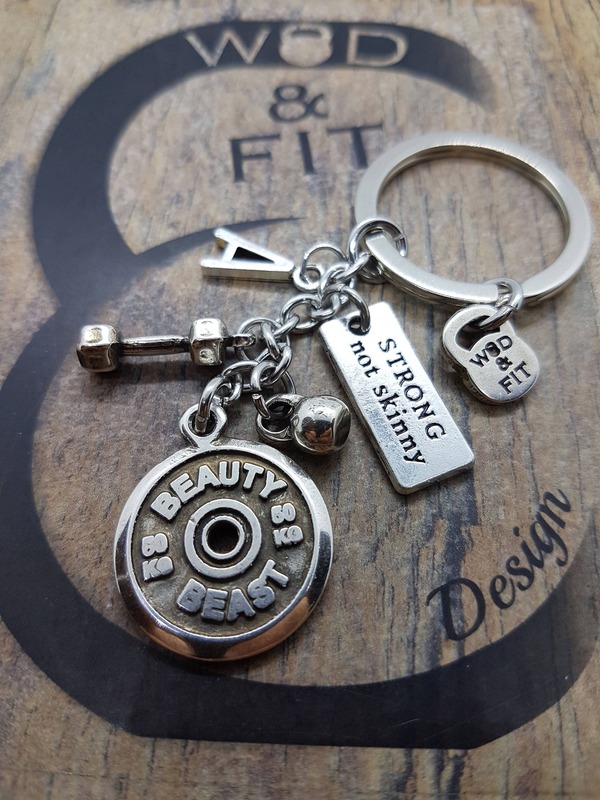 I wasn’t sure what to expect but I was very happy with the size and how cute all of the charms are. 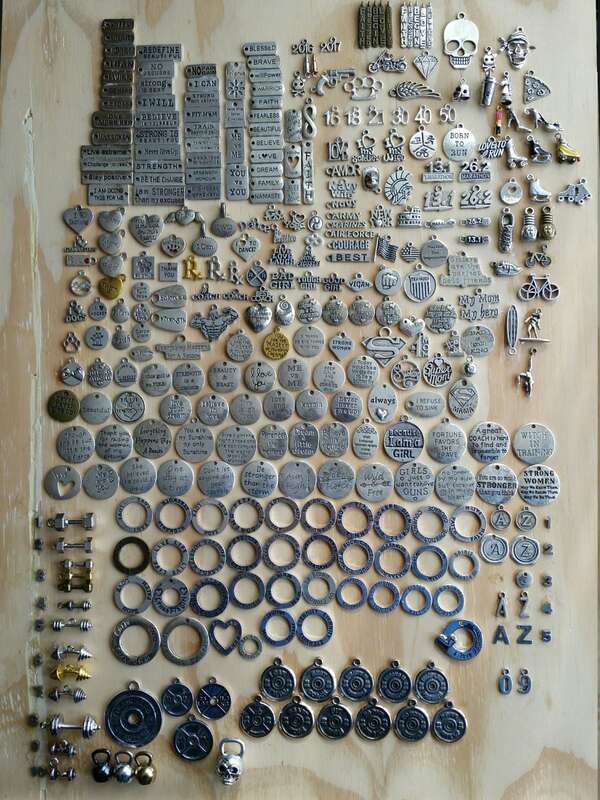 It came neatly wrapped in tissue paper and came in a little black velvet bag. 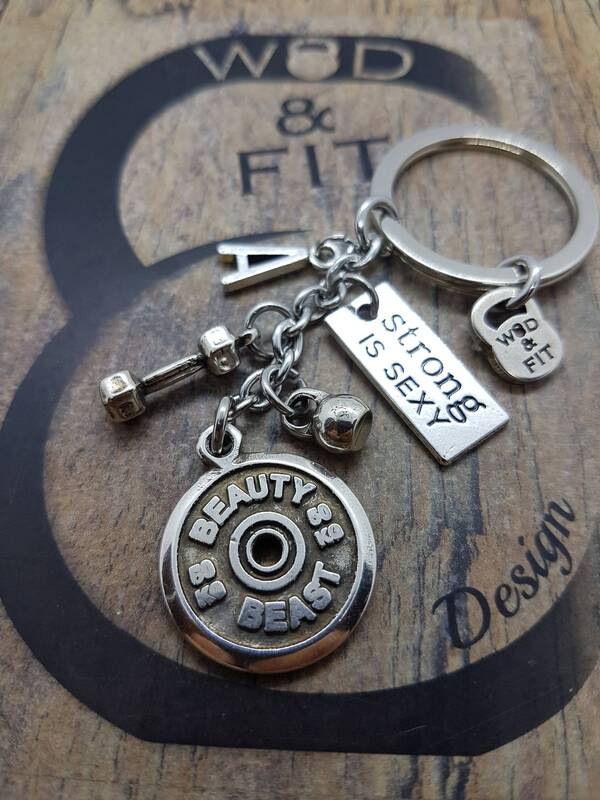 Perfect for a gift!!! 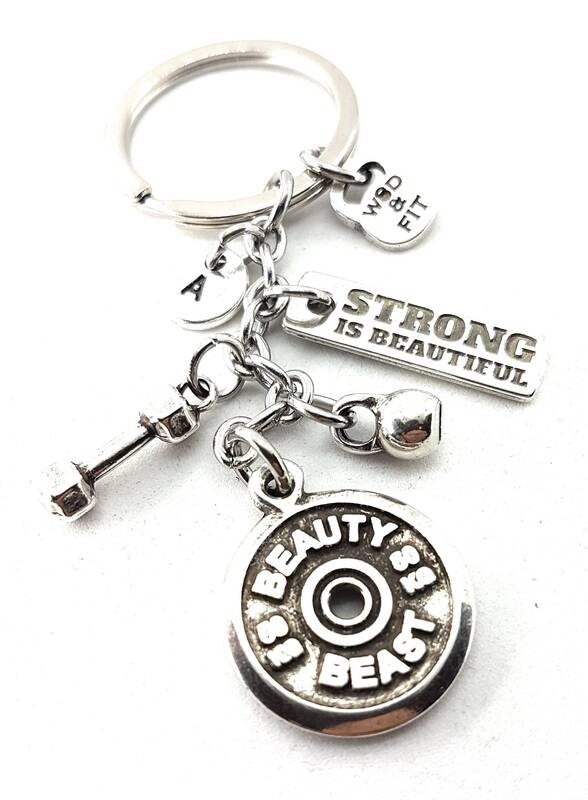 Also, I live in the states & this keychain was coming from Spain which I didn’t realize when I ordered it but it was shipped out the next day & I received it in a week.